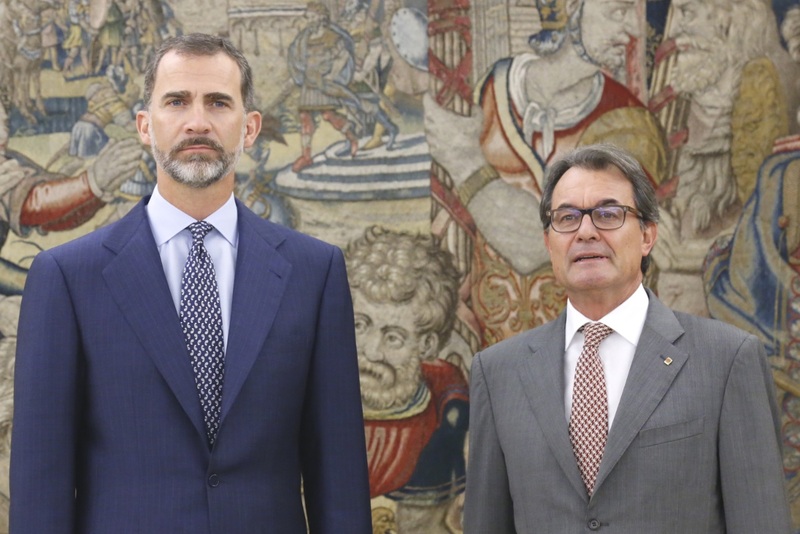 Last week King Felipe met with Catalan President Artur Mas, an encounter that received wide media attention because of its political repercussions. Mas is helping lead a movement to secede from Spain following the Autonomous Community’s elections later this year. The King, on the other hand, is seen as a symbol of Spanish unity, historical continuity and geographic integrity. Mas did not comment after or before his meeting, according to media outlets, only to say that he went with the spirit of peace. The Royal Household tried to describe the meeting as one of many the King was having with leaders from different Spanish localities. Posted on July 21, 2015 by talkingwithamericansPosted in UncategorizedTagged Artur Mas, Catalonia, King Felipe, Spain.